LED lights - 3X magnification. Large 8" x 10" Fresnel lens. 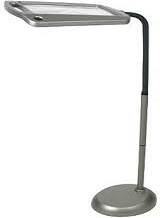 Full page lighted floor lamp. 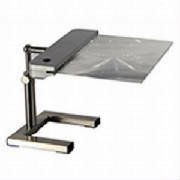 Fresnel 3X full page stand magnifier. 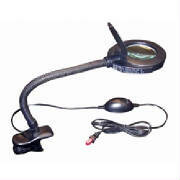 2x gooseneck craft magnifying glass. 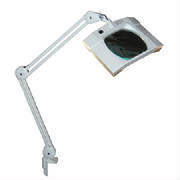 Clamp-on to desk, table or workbench. Can be clamped to most fly-tying vises. 1.75X/2.25X with 45 ultra bright LED lights. 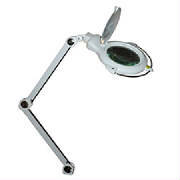 5" Diameter 5 diopter(glass)magnifying lens. 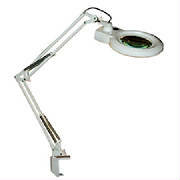 Perfect desktop lamp for home, office. 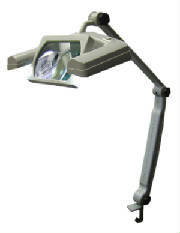 This unit features 48 ultra bright LED’s. 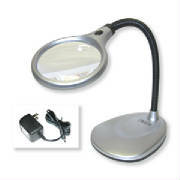 Well designed LED lamp with magnifier. Ideal for reading, hobbies and crafts.